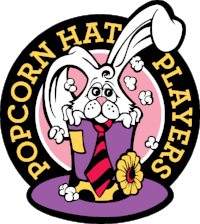 Come to the Hershey Public Library to see Aladdin, presented by the Popcorn Hat Players. This event is sponsored by the Friends, and is suitable for children ages 3-5. Registration is not required. If you have questions, please contact Rita Hunt-Smith at ritahuntsmith@derrytownship.org or call the Hershey Public Library at (717) 533-6555 ext. 3708.